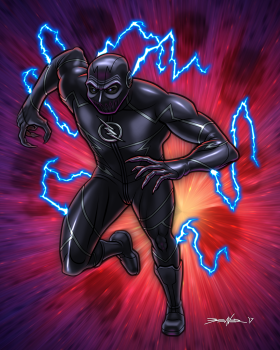 Zoom was another request and, seeing as how he's from one of my favorite current TV shows, I was happy to try. One of my main beefs against drawing live-action characters (besides still being a bit bad doing likenesses) is trying to find all the right reference. 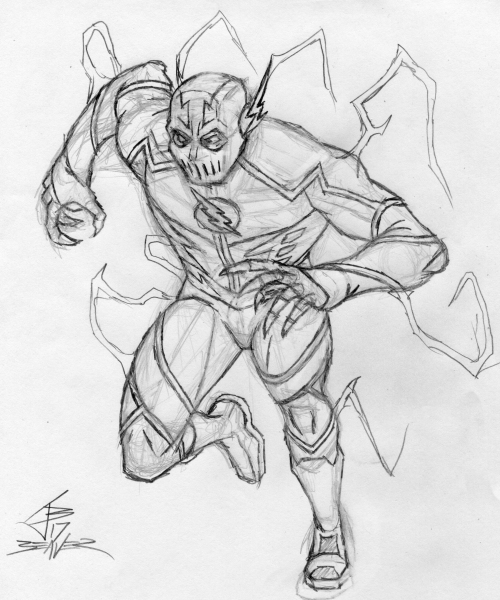 I didn't have Netflix at the time I drew this (S2 of the Flash is on there now, right? ), so I couldn't get my own screengrabs to see costume details. Still, I hope I've done him justice here.